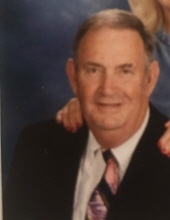 Frank Marion Tison, III, of Dublin, GA, passed away on March 27, 2019. A visitation will be held at Dublin First United Methodist Church from 9:00 until 9:45 AM, prior to a memorial service on Friday, March 29, at 10:00 AM. Burial will follow at Louisville (GA) City Cemetery. A native of Ashburn, GA, he was a sports enthusiast from an early age, earning varsity letters in football, basketball, baseball, and track. He attended Abraham Baldwin Agricultural College and graduated from Georgia Southern College with a major in physical education. He earned a master’s degree in education from Savannah State College and an educational specialist’s degree from Georgia Southern. Mr. Tison served as a coach, teacher, and an administrator in several Georgia school districts. While in Chatham County, he was honored as a lifetime member of the National Parent Teacher Association and in 1997 was named “Papa Bear” of the Burke County Bears. Frank was a member of the Mountain Rest (SC) Community Club as well as of the Dublin Civitan Club where he found fulfillment as a builder of ramps for the handicapped and where he worked on behalf of special education students. He served in both the National Guard and Coast Guard Reserve and was a member of Dublin First United Methodist Church. While a member of Bethel Associate Reformed Presbyterian Church, in Vidette, GA, he held positions such as deacon and Sunday school superintendent. Frank was a hunter, a fisherman, and a wonderful father and grandfather. Beloved and celebrated by his friends and family for his sense of humor, love of nature, storytelling, and culinary skills, he also was an avid reader. Mr. Tison was preceded in death by his parents, Frank Marion Tison, II, and Daisy Lane Tison; sons, William Thomas and James Layton Tison. He is survived by his wife of 35 years, Pamela Jo Summer Tison. Other survivors include his stepdaughter, Emily Summer Horne; her husband, Richard; their children, Joseph Brian, Caroline Summer, and Anna Grace Horne; brother, Lane Tison, and wife, Paula; sister, Jane Tison Creel, and husband, Silas; nephews Lane Tison, Jr., Clay Creel, and Chad Creel; several close cousins; and sister-in-law Penelope Summer. In lieu of flowers, donations may be sent to Dublin Civitan Club Scholarship Fund in memory of Frank Tison; P.O. Box 635; Dublin, GA, 31040; or Dublin First United Methodist Church; 305 West Gaines Street; Dublin, GA 31021. To send flowers or a remembrance gift to the family of Frank Marion Tison, III, please visit our Tribute Store. "Email Address" would like to share the life celebration of Frank Marion Tison, III. Click on the "link" to go to share a favorite memory or leave a condolence message for the family.